Scariest VR game? With untethered roomscale 6DOF, possibly. There are still some VR skeptics who think it is just a fad. 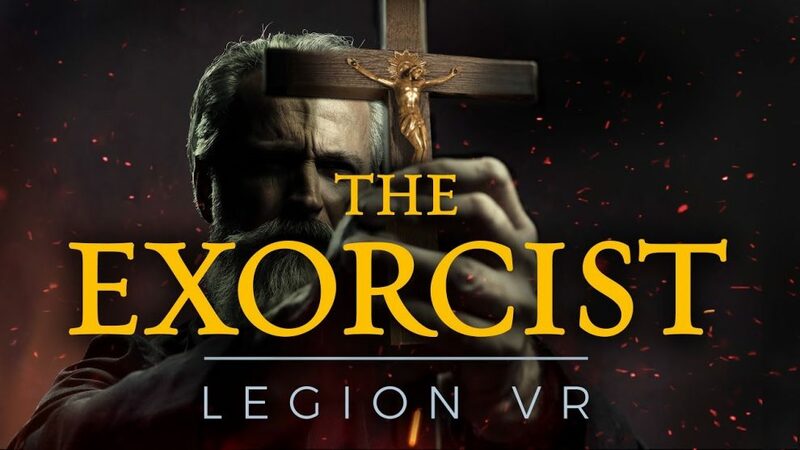 To understand why VR is the future and why it’s here to stay, VR skeptics should play The Exorcist: Legion VR for Oculus Quest. In the video, I only used an Oculus Go, a VR headset with 3 degrees of freedom, which means it can track my head rotation but cannot track head movement. This does qualify as ‘true’ VR, but it’s the most basic form of VR. Above that is 6DOF VR, where you can walk around and move around in VR. 6DOF is what creates a sense of ‘presence,’ the illusion of being at another place. But not all 6DOF experiences are equal. First, a VR experience with a small tracking area (e.g. Playstation VR) or one that tracks movement only while you are facing forward (Playstation VR again) is not as immersive as one with a large tracking area. Second, another factor is the controller — a simple 3DOF controller can only track rotation (e.g. Oculus Go or Lenovo Mirage). Finally, many VR headsets are tethered to a desktop. The cable reduces the immersion. In this regard, the Oculus Quest provides of the highest forms of VR: an unlimited tracking area with two 6DOF controllers, completely untethered. A VR headset such as the Quest, with a game such as Exorcist will provide a highly immersive experience that will convince any VR skeptic.